I wonder sometimes if that shouldn’t be the game of my blog: Cat hair and glitter. It’s been too long since I’ve made a proper post, and I think it will be a little longer still. 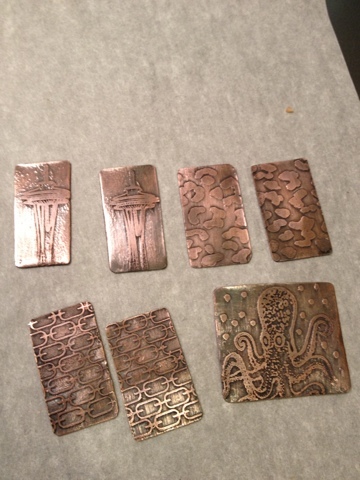 For funsies, here are some metal pieces etched with salt water and a battery. How cool is that? !